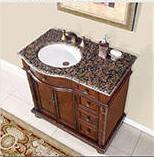 Choice of Granite or Marble Stone Vanity Top. 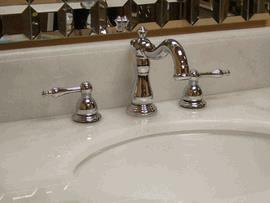 Choice of Left Hand Sink or Right Hand Sink. 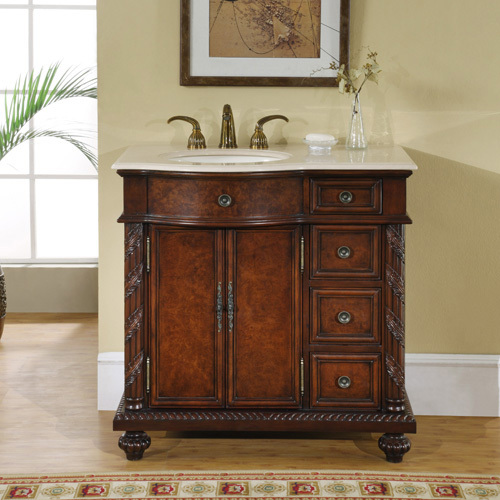 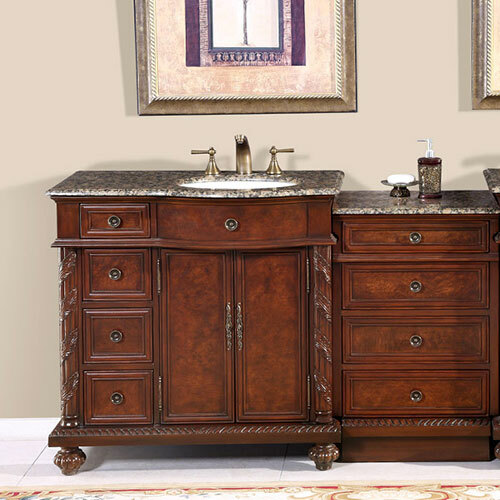 The 90-Inch wide Marley Double Vanity is a beautiful Solid wood frame vanity featuring Exquisite English Chestnut and Burled Doors with twin under mounted UPC Certified White ceramic oval shaped vanity sink basins. Highlighting classic style, this double sink bathroom vanity with Antique Brass door Hardware brings distinct tone to your bathroom while maintaining practical abundance underneath its gorgeous Cream Marfil Marble Stone countertop, where you will find ample storage and plenty of room for both communal toiletries and linens. 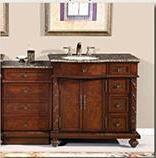 Need a wider vanity size? 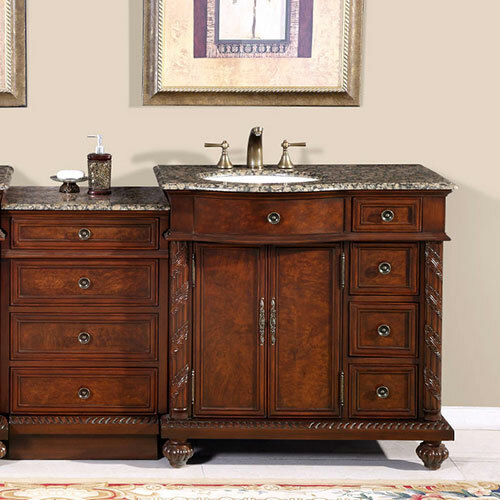 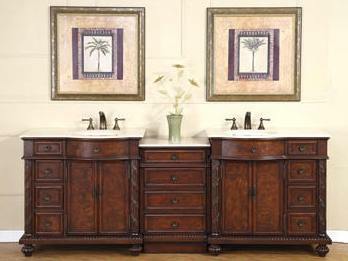 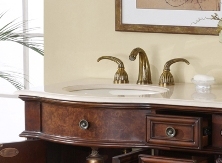 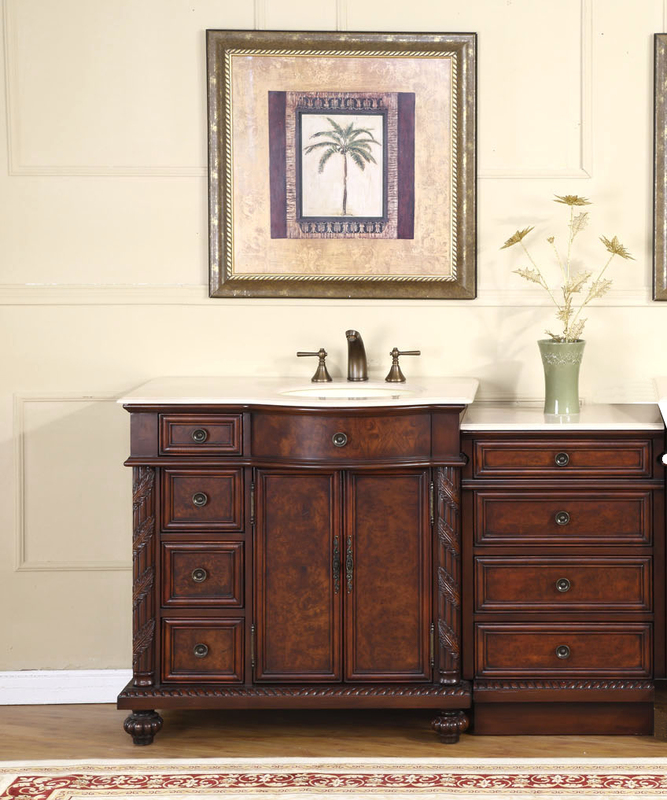 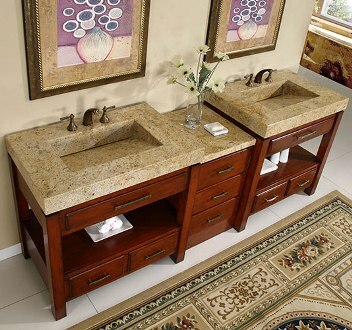 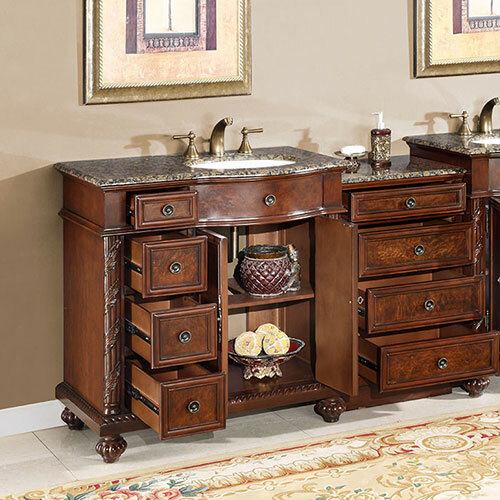 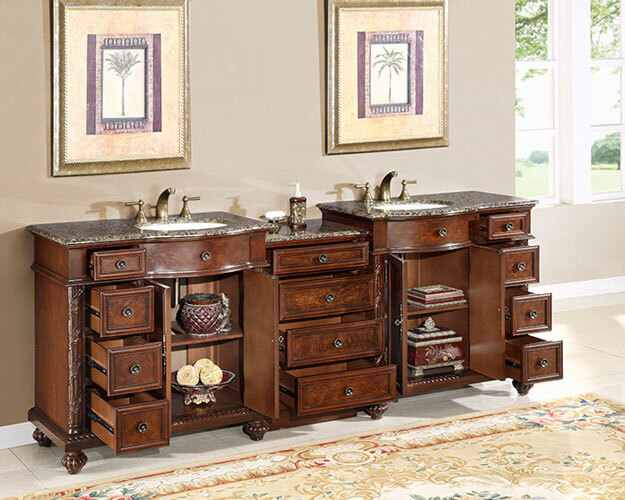 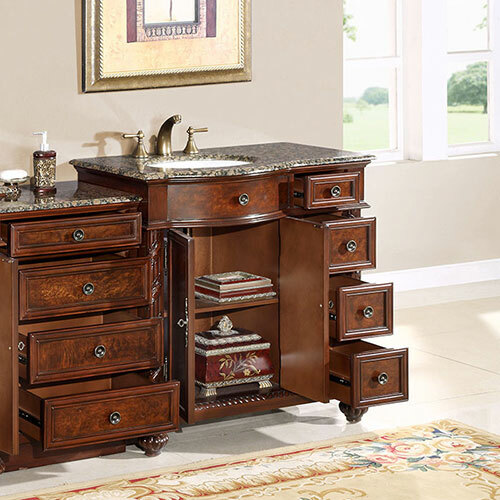 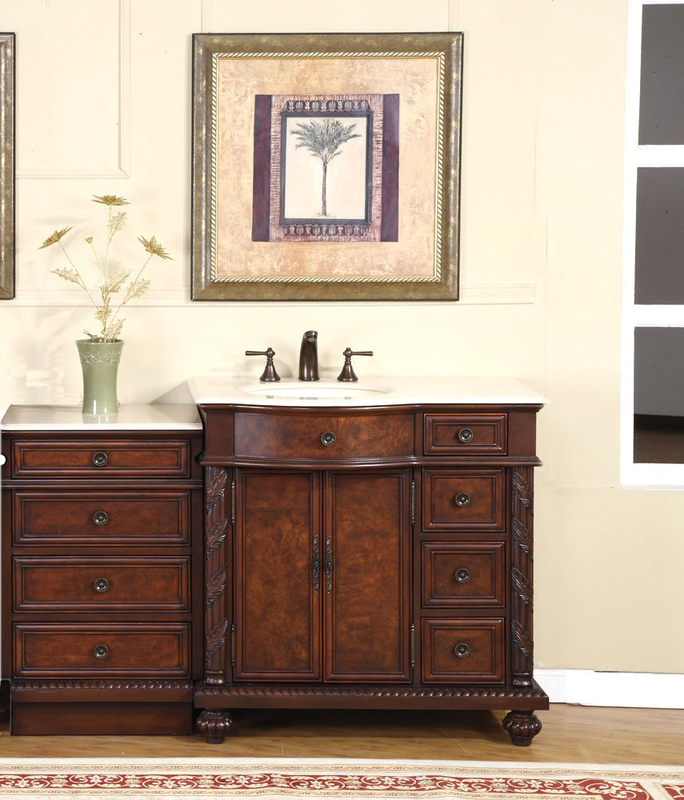 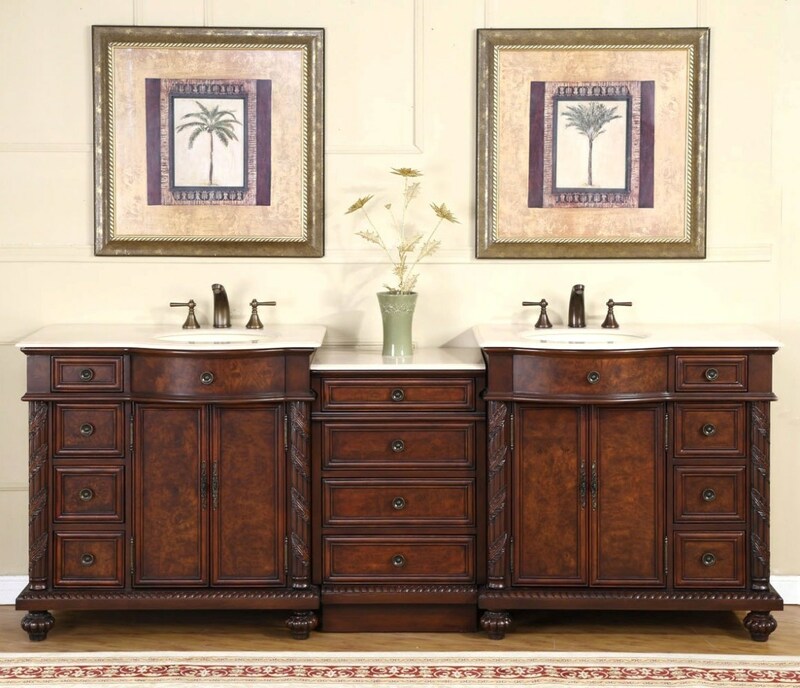 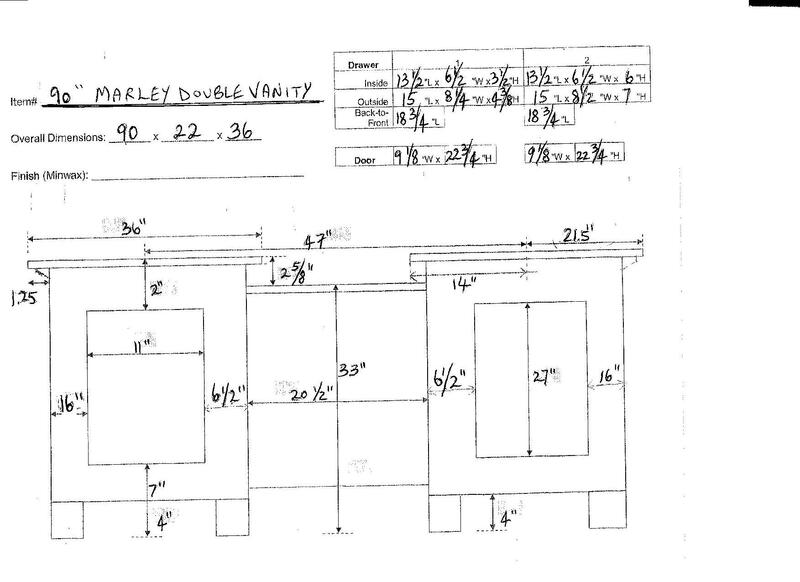 110 inch wide Marley Double Sink Vanity consists of two sink cabinets and two drawer cabinets. 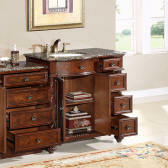 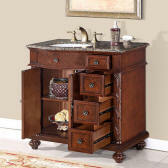 Extra large double sink chest features twelve (12) working drawers and four (4) door storage compartments with shelves. 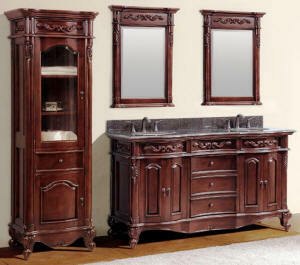 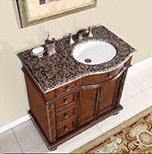 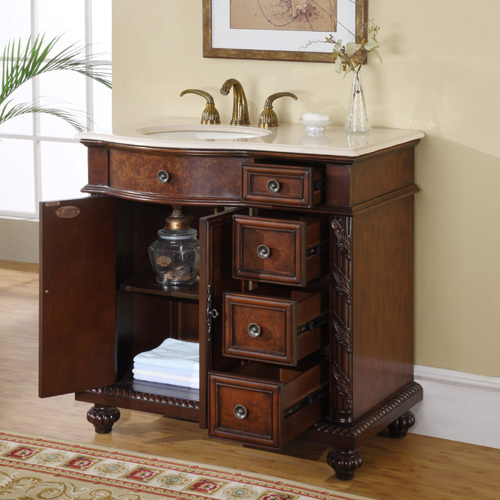 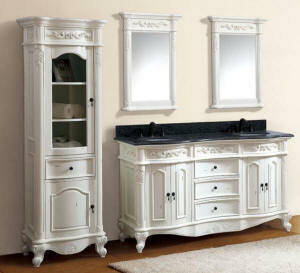 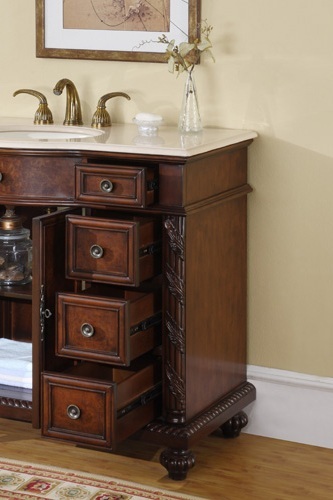 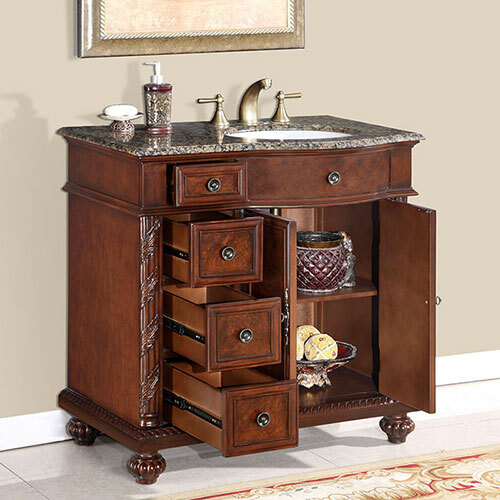 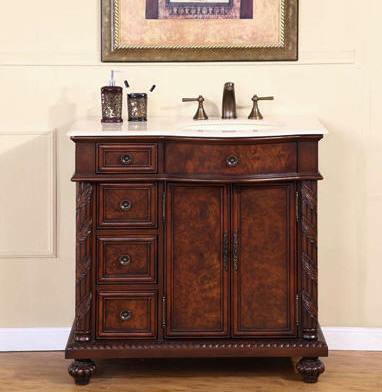 This vanity available also in 36" wide and 56" wide sizes, see details below. 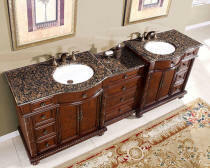 NEW: Now also available in Baltic Brown Granite Stone Top, same price as Cream Marfil Stone Top Marley vanity. 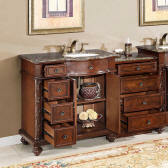 with Under Mount, White Ceramic Oval left-hand side OR right-hand side Sink and left or right drawer cabinet. 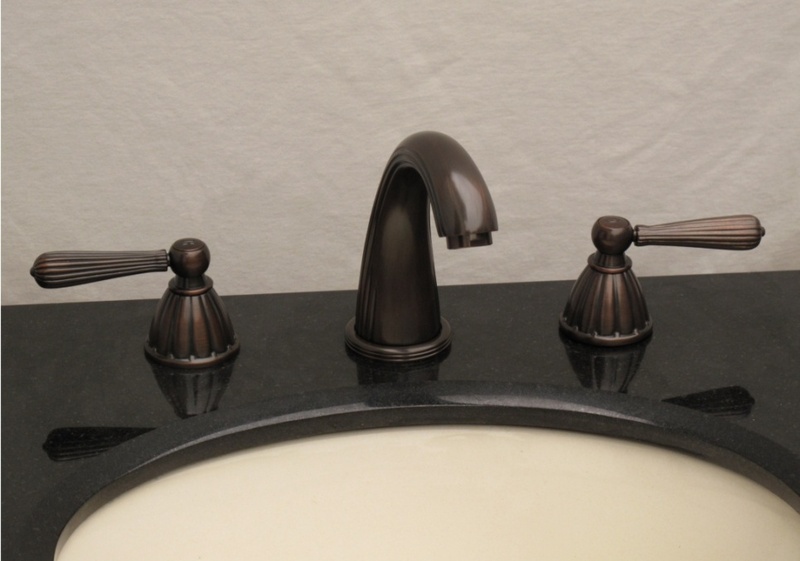 Top is pre-drilled for Standard 8-inch-widespread, 3 faucet holes (1-1/8") application. 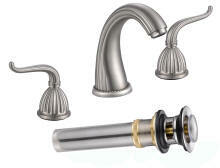 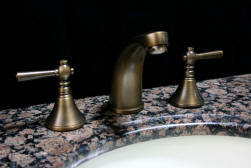 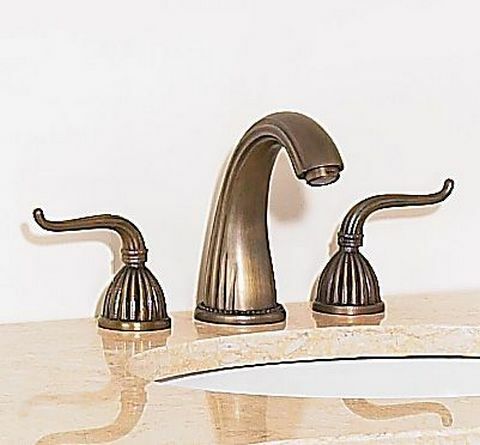 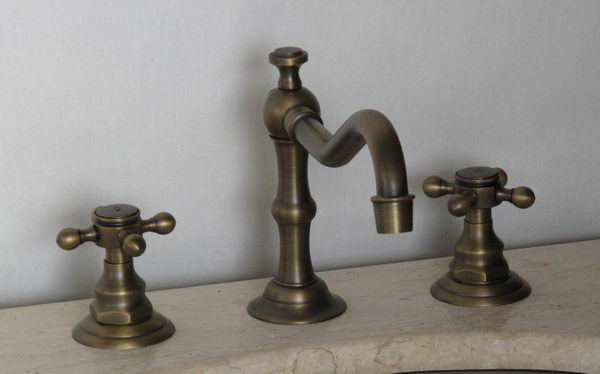 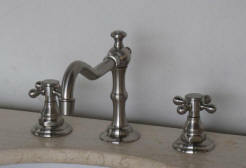 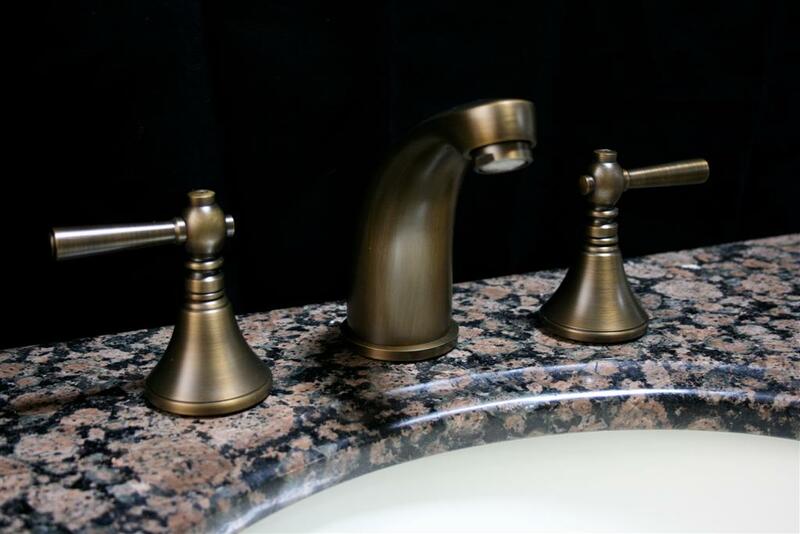 Faucets sold separately, see below for prices & faucet styles. 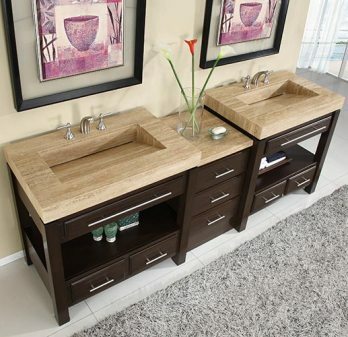 Need a wider vanity size? 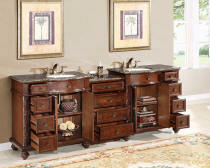 110 inch wide Marley Double Sink Vanity consists of two sink cabinets and two drawer cabinets. NOTE: Marley Sink Cabinets with Cream Marfil Marble Stone Tops ship with Ivory-White color Ceramic Oval Sinks and Marley Sink Cabinets with Baltic Brown Granite Stone Tops ship with pure White color Ceramic Oval Sinks. 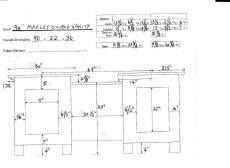 Ship already assembled from factory floor. 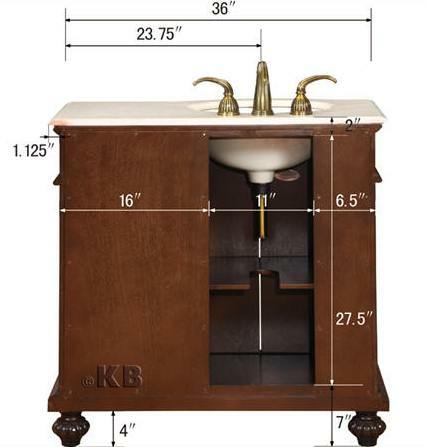 Sink on right, shown above (right photo), or Sink on left shown above (left photo). 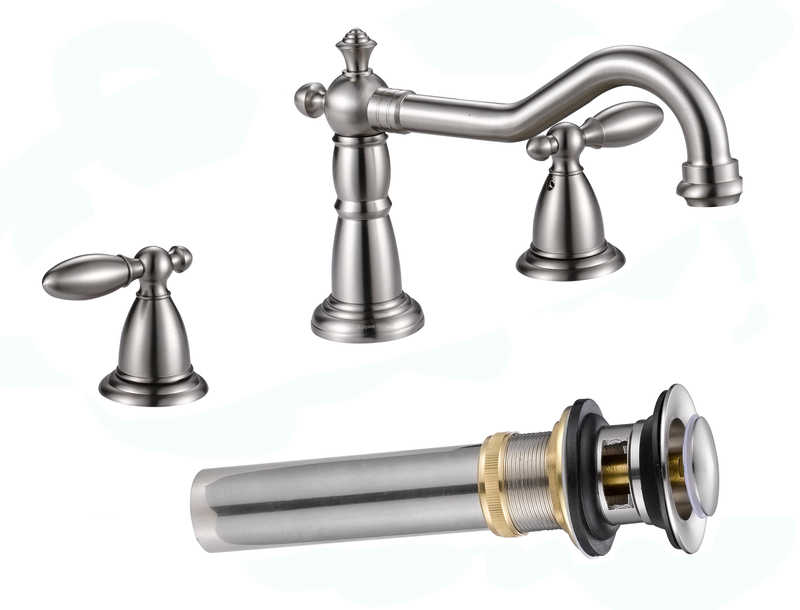 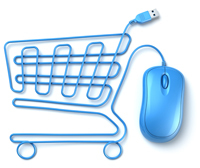 Ships assembled - Generally in stock and ships in 1-3 days! Ships with sinks & counter tops. 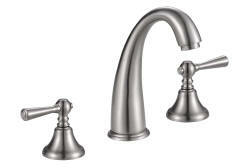 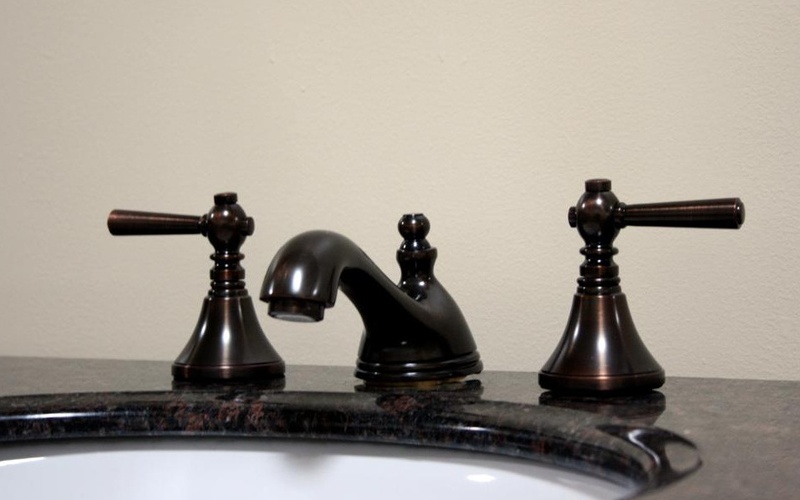 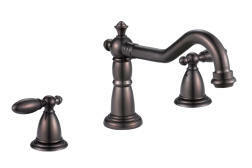 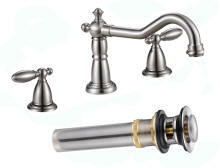 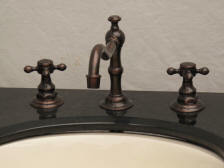 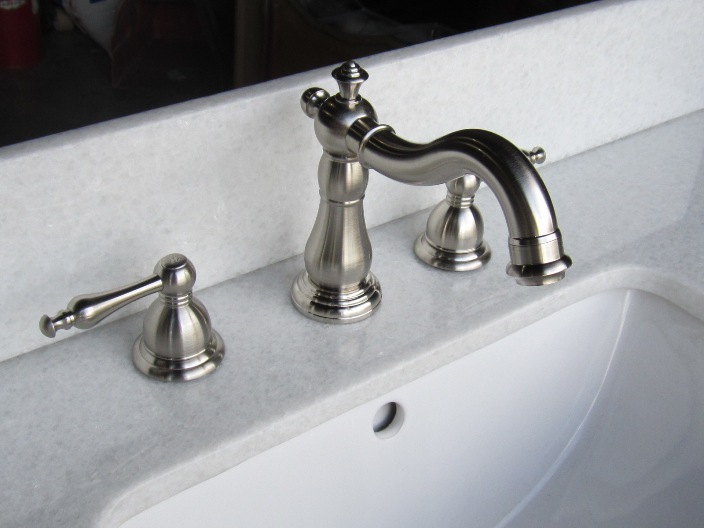 Faucets sold separately, see below for prices & faucet styles. 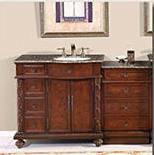 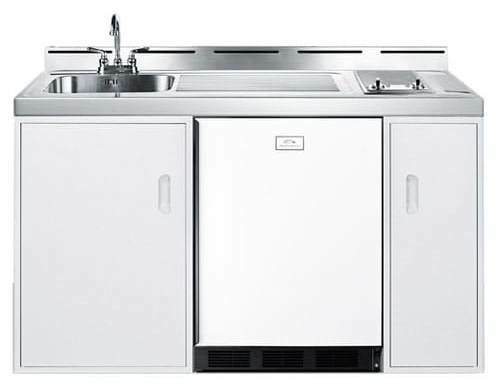 Motor Freight is $199 (for single sink vanity) - $265.00 (for double sink vanity) or less, depending on size & shipping destination of vanity.